The report quantifies the technical potential for rooftop PV in the United States, which is an estimate of how much energy could be generated if PV systems were installed on all suitable roof areas. 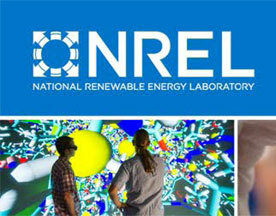 Analysts at the Energy Department's National Renewable Energy Laboratory (NREL) have used detailed light detection and ranging (LiDAR) data for 128 cities nationwide, along with improved data analysis methods and simulation tools, to update its estimate of total U.S. technical potential for rooftop photovoltaic (PV) systems. The analysis reveals a technical potential of 1,118 gigawatts (GW) of capacity and 1,432 terawatt-hours (TWh) of annual energy generation, equivalent to 39 percent of the nation's electricity sales.